One of the favorite activities of the COT Warlords team is visiting and participating in renaissance fairs. 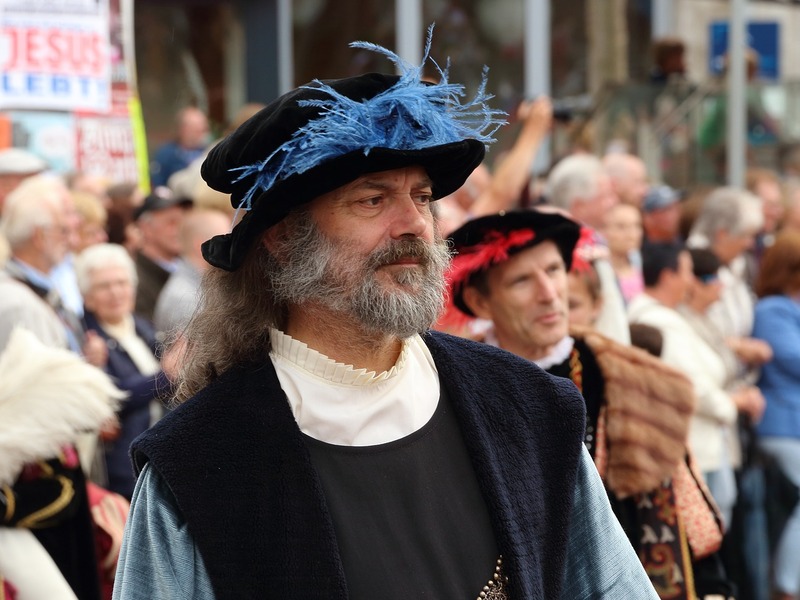 If you haven’t heard about these, they are fairs that are entirely themed around the renaissance period. We’re talking kings, queens, knights, fair-maidens, poets, jesters etc. It’s role playing like in online role playing games, only it’s in real life. At renaissance fairs you need to come dressed appropriately. That’s is exactly where our costume designs come into play. How much the costumes are required depends from fair to fair. Some allow even modernly dressed individuals to attend the fair. In that case those who are dressed as a knight for example, will wonder at what kind of unusual clothes you have. Just designing old-folksy costumes would be less rewarding if you don’t show them off. We visit these fairs to see how people will react to our characters, our designs. Role playing is very fun there, because everybody is ready to participate. If you are into role playing, make sure to check these fairs out, they are an excellent excuse to get out of the house and travel. Let us know if you actually went and visited one.